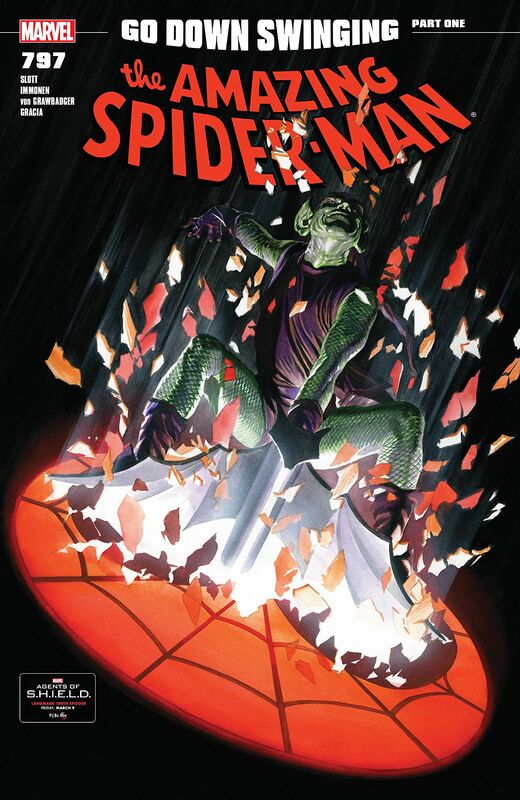 The Green Goblin is back in Marvel Comics Amazing-Spiderman #797, and this time he’s more frightening than ever! It seems Dan Slott has arguably saved one of his most powerful storylines till last as Go Down Swinging Part 1, together with Stuart Immonen’s fantastic artwork, ensnares Spidey’s life in the chilling first chapter of an Amazing-Spider-Man story that’s been ten years in the making. Norman Osbourn is back, crazier than ever, and his latest malevolent plan will soon spell big trouble for Peter Parker and everyone close to him! Peter’s new job at the Daily Bugle as Science Editor – after the collapse of Parker Industries left him penniless – led to Spider-Man’s recent run-in with the Goblin King, but with the help of Anti-Venom (Flash Thompson) Spidey was able to fend off Goblin King’s attack. This led to Peter reconnecting with former lover and Stark CEO, Mary Jane Watson, but that old Parker luck strikes again in Amazing Spider-Man #797 and their reconciliation doesn’t exactly turn out the way either of them expect. Along with the ramifications of the Goblin King’s latest actions being keenly felt at the Daily Bugle, Slott deftly punctuates the narrative throughout the rest of the issue with some friendly neighbourhood Spidey action, Peter getting another hilariously ranting phone call from JJJ (now a trail-blazing blogger extraordinaire), there’s further insight into events going in Liz’s and Harry’s lives, and the Goblin King gets more than he bargains for in a particularly brutal showdown, but the main focal point of this issue is Norman Osborn – or more specifically the identity of the person he has kidnapped to learn more about Spider-Man. It is here that Dan Slott’s writing really excels as we witness just how extreme Osborn has become now that he’s got his crazy back, and it leads to some genuinely unnerving scenes that illustrate just how frightening Norman Osborn can be. You see, ever since Spidey robbed Osborn of his abilities, he’s done everything in his power to become the Green Goblin again. In a last ditch attempt to reclaim his lost power Norman joined with the Carnage Symbiote, and their dark unholy alliance was formed to destroy Spider-Man! Trouble is, Osbourn still hasn’t got all his memories back – including the knowledge that Peter Parker is really Spider-Man – and his terrified captive must now endure Norman’s maniacal; bloodthirsty interrogation or give up their knowledge of Spider-Man and his friends. As you’d expect Stuart Immonen’s artwork looks as impressive as ever. Every page is awash with vivid detail and finely constructed panel layouts that seamlessly relays the story as we shift between a myriad of different locales and events going on in Parker’s life. The scenes between Peter and MJ are especially moving and emotional. 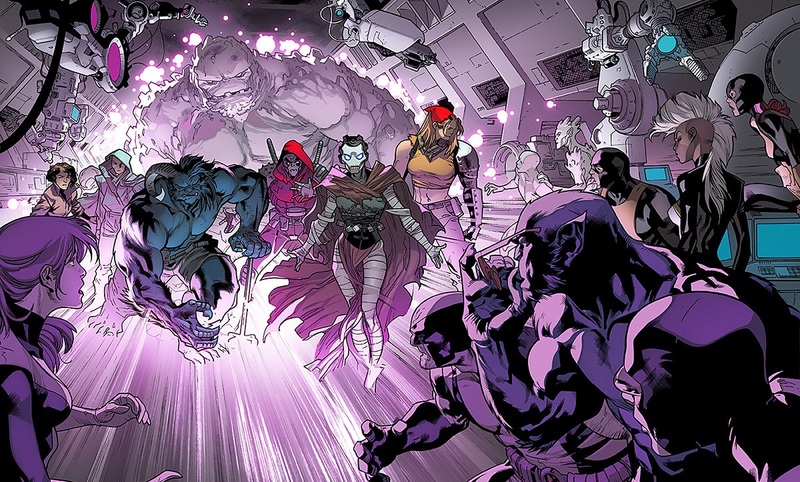 Yet it is Norman Osborn’s dark spiralling plunge into his Carnage Symbiote fuelled mania where Immonen’s art superbly conveys every, creepy, heart-stopping moment – especially when it comes to Norman’s special brand of pest control – and the inks by Wade Von Grawbadger and colors by Marte Gracia also accentuates the scary atmosphere to the max! Add to that the haunting cover by Alex Ross, and this is one issue that positively screams read me! This issue of Amazing Spider-Man builds to a thrilling climax, one that both reveals the identity of Norman’s hapless captive and sparks a shocking revelation. One thing’s for sure, Spider-Man and the Green Goblin are on a collision course now like no other before or since. Go Down Swinging certainly looks set to be an exciting swansong for Dan Slott’s tenure writing Spider-Man. I’ve only been reading Slott’s work since Superior Spider-Man, but I’ve enjoyed his run from what I’ve read of it for the most part. Amazing Spider-Man #797 is a dark, scary issue, Dan Slott and Stuart Immonen are clearly pulling out all the stops for their final arc, and I can wait to see the inevitable showdown between Spider-Man and Osborn’s Carnage Symbiote infused Goblin! Letterer: VC’s Joe Caramanga / Cover Artist: Alex Ross. 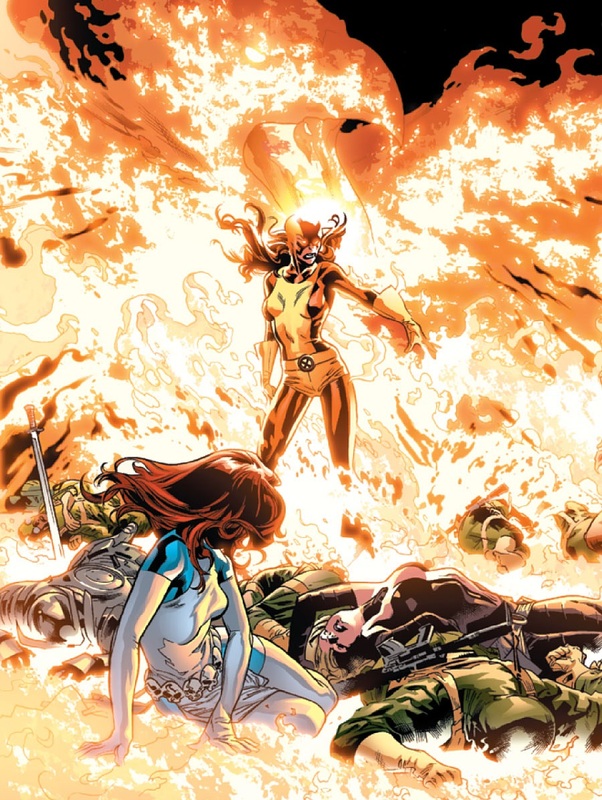 The opening moments of All New X-Men #17 offers a tantalising glimpse of future events for the X-men, where one of the most joyous moments imaginable for mutantkind goes tragically, and horribly wrong. Brian Michael Bendis superbly scripted storyline for Battle of the Atom continues to impress, and Stuart Immonen’s art gives these momentous events a cinematic quality that further enhances the scope and scale of these early scenes. Its clear now that the future X-Men who travelled back in time to get the original X-Men to return home are not quite who they said they were. 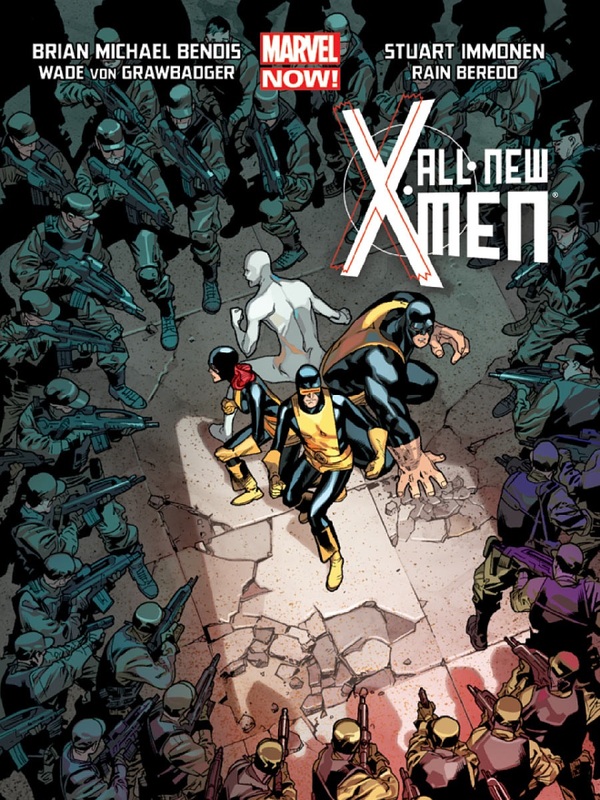 As we rejoin Magik, Hank, and Bobby, who have arrived in the future only to find themselves standing in front of a pristine looking Jean Grey School guarded by Sentinels and another team of X-Men. 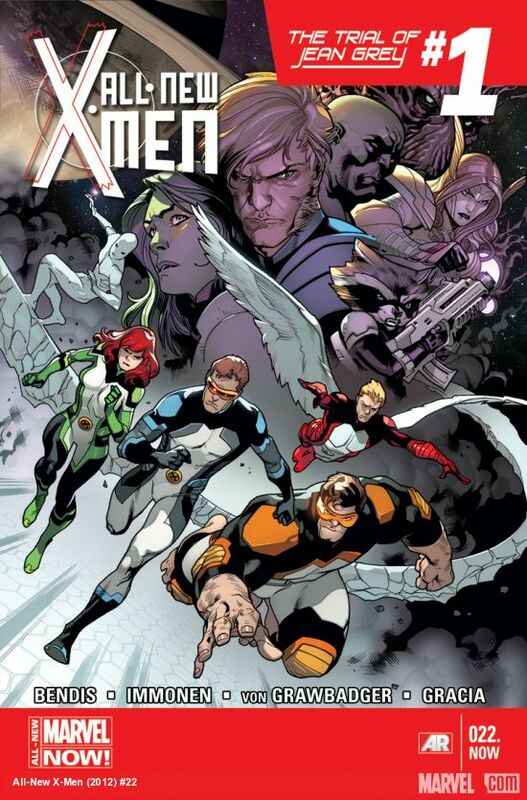 So now we have not three, but four teams of X-Men to contend with, and it would seem that the future is not as horrific as the present-day X-Men have been led to believe. These X-Men are apparently the real deal, and claim they have nothing to do with the other X-Men who returned to the past. We get some great interactions between the present X-Men and the new future X-Men, as Illyana is reunited with Colossus, and a hilarious moment where young Iceman meets a wizard Iceman and asks him about the Ice-Hulk running around in the present with the “Evil X-Men”. Bobby’s reaction to everything is always great fun, especially here, and the expression on his face is priceless. The future X-Men are reluctant to discuss future events when Illyana presses them for more information, and say that Magik, Beast, and Iceman should return to their own time immediately without any knowledge of what is to come. 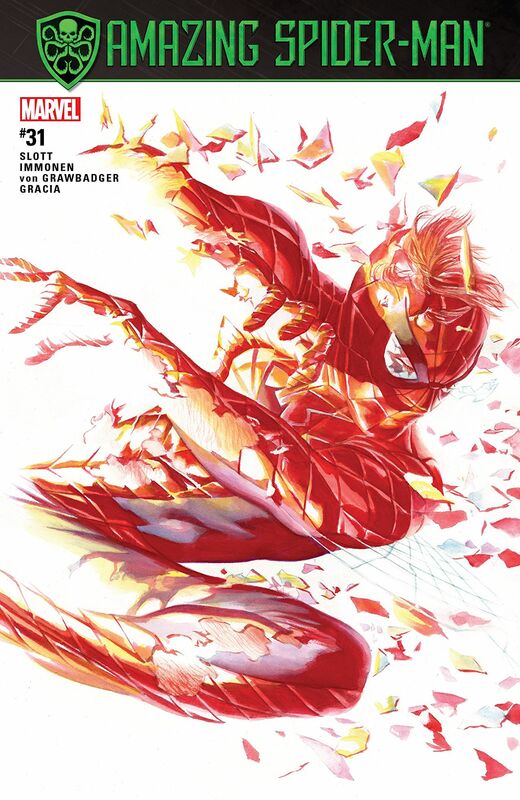 We are now just over the halfway mark for the crossover event, this sixth instalment of Battle of the Atom is full of inventive twists, and it leaves you wondering exactly what Brian Michael Bendis is going to do next. 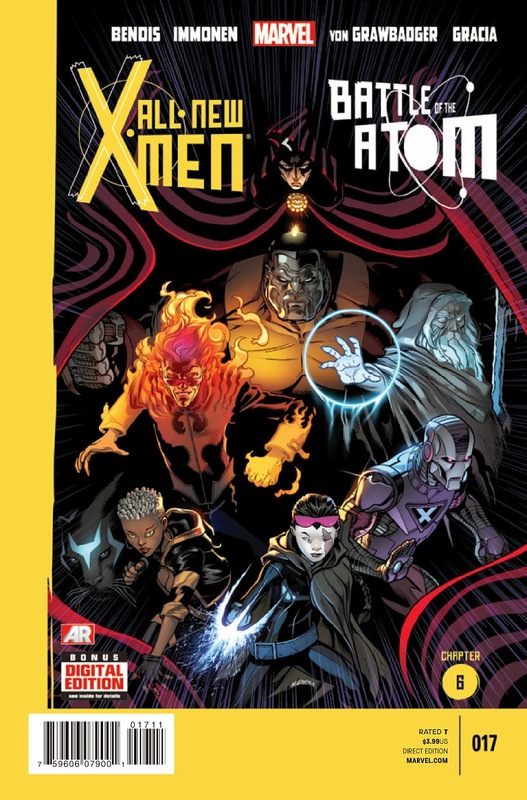 The time travel element of this storyline makes it a compelling and exciting read, especially after this issues ends with the Uncanny X-Men returning to their secret school only to find they have some unexpected guests. 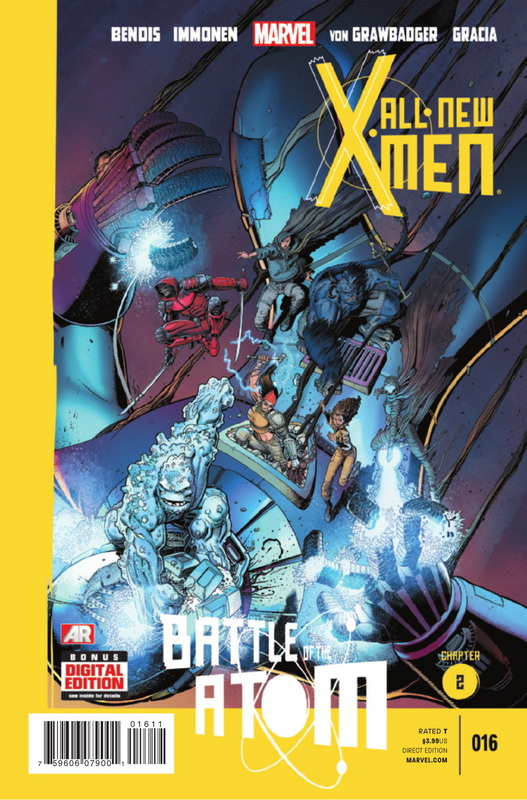 All New X-Men #17 effectively sets the scene for bringing the various teams from each time period together, presumably leading to a humongous clash between X-Men past, preset, and future as Battle of the Atom builds towards its final chapters. 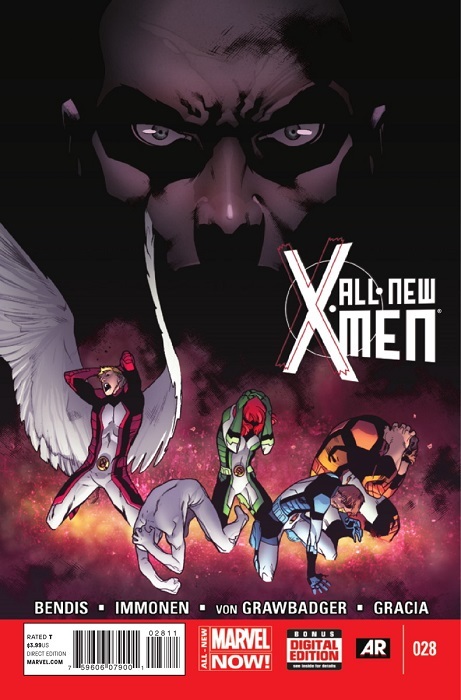 Jean Grey continues to struggle with her newly awakened telepathic powers and the knowledge she has gained of the future, while her team mates wonder if Angel’s defection to the adult Cyclops’ rival team will be permanent. 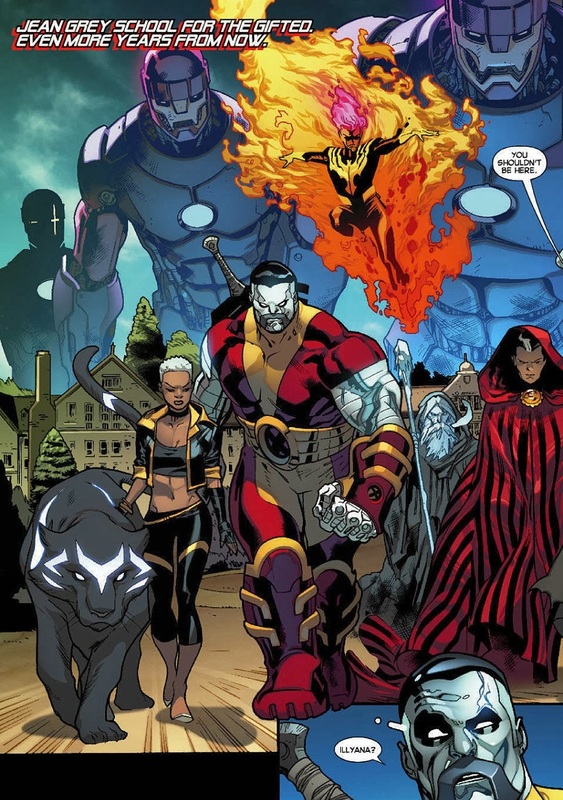 To complicate matters further Mystique, Sabertooth, and Lady Mastermind have been using the X-Men’s identities to conduct a series of high-profile robberies. 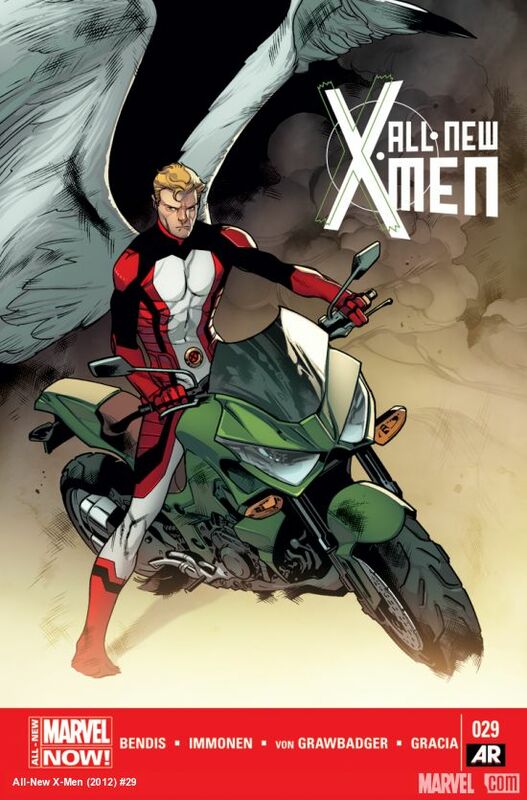 The young X-Men later encountered the Uncanny Avengers and Scott met his brother Alex. Together with Wolverine and Kitty, the teenage X-Men set out to find Mystique and clear their name, but first they need to find out exactly what she intends to do with all the money. 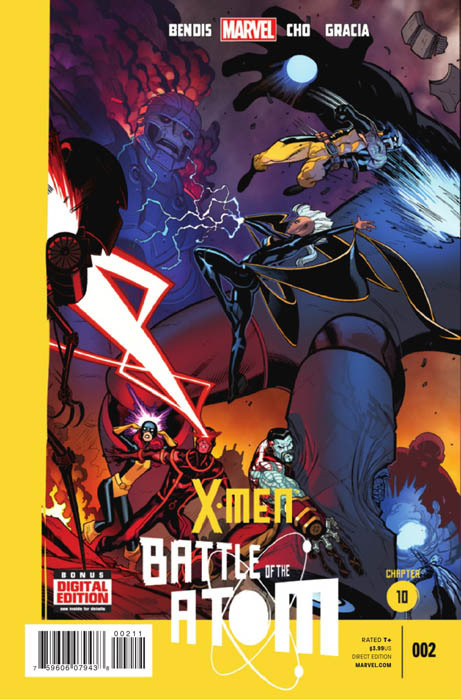 All New X-Men #13 opens in spectacular fashion, with a jaw-dropping sneak peak at the issues closing moments, before turning the clock back six hours to show the events leading up to this momentous event. The original X-Men accompany Wolverine and Kitty to Resilient International in Seattle, where Jean uses her psychic powers to hide their presence so they can investigate the scene of the robbery. Wolverine picks ups Sabertooth’s scent just as Jean’s concentration falters, they are discovered, but Iceman shields them with an ice barrier so they can escape. However, it is after they resume their search for Mystique where the young X-Men hear the speech Havok made earlier in the day, along with Kitty’s response to it, and the story she recounts about her first experience of racism that proves to be the real highlight of the issue. 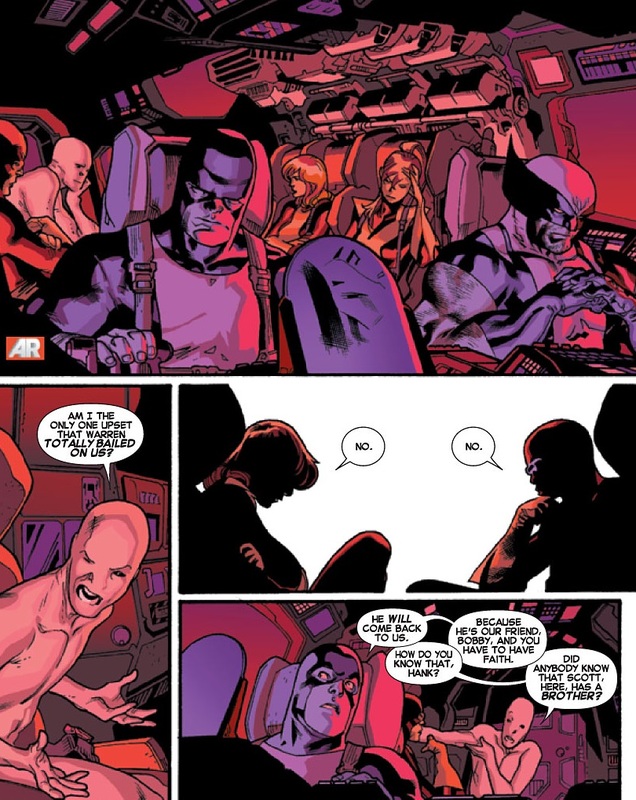 Brian Michael Bendis skilfully addresses this issue as the original X-Men discuss Warren’s departure, allowing Jean and Scott to share a quite moment together, before they ask Kitty‘s opinion about Havok’s speech. It a superb piece of writing by Bendis, where Kitty tells a story from her teenage years – about an anti-semitic comment a boy made without knowing she was Jewish – that draws a stark contrast with her own heartbreaking experience and Alex’s statement that the “M” word represents everything he hates. Kitty is proud to be Jewish and proud to be a Mutant, and although Alex Summers speech is a well intentioned attempt to smooth over the damage to human / mutant relations in the wake of what his brother did in AvX, its certainly clear that Kitty doesn’t feel that she, or anyone, should ever have to shy away from telling people who they are in the way that Havok‘s speech implies. Its moments like this that makes All New X-Men such a rewarding experience. 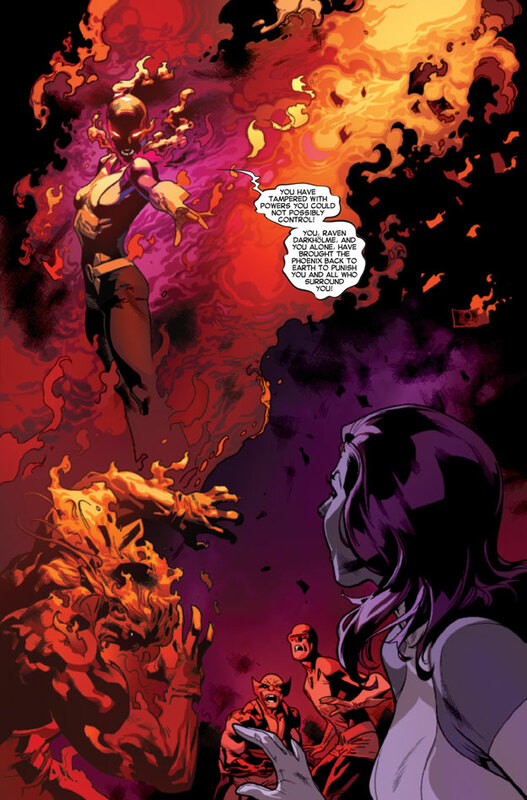 Brian Michael Bendis has such a grasp on these characters, Kitty’s passionate speech not only highlights the differences between what the X-Men and the Uncanny Avengers are trying to achieve, but it also shows the inner strength that Kitty possesses – and makes you realise just how Havok’s speech could actually end up being incredibly counter productive. 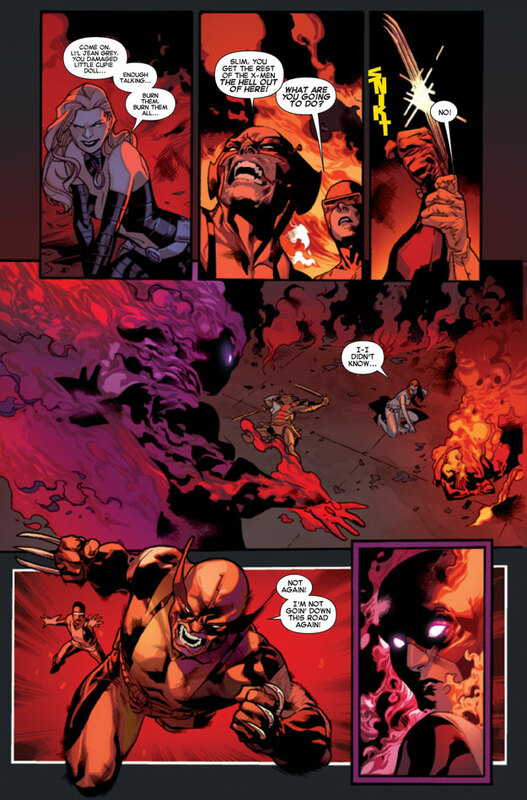 A page of this speech, which originally took place in Uncanny Avengers #5, is reprinted at the end of this issue – serving to create a synergy between the two books while placing their opposing views into context against the backdrop of these events. 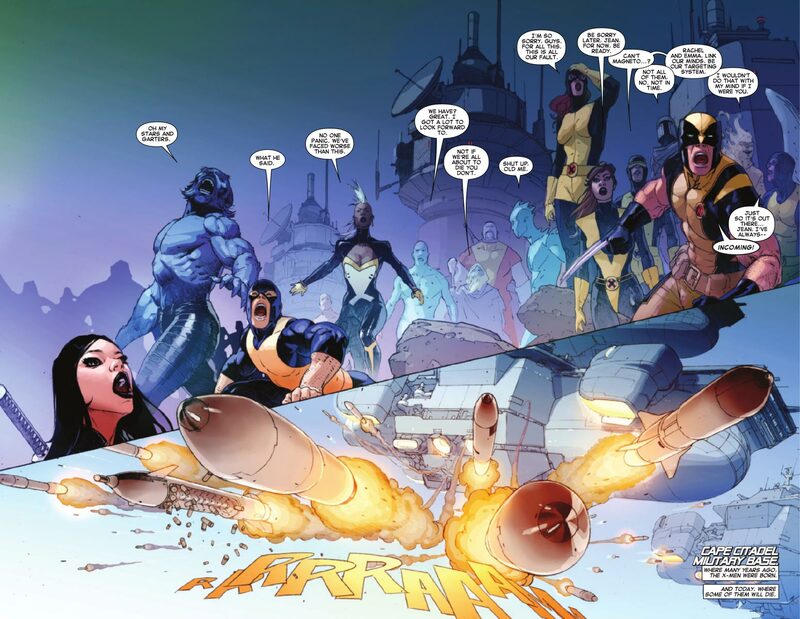 The art by Stuart Immonen really brings this scene to life, he captures the reactions of the Original X-Men to Kitty’s response to Havok’s speech perfectly, and this is probably some of the finest work he has done of the series to date. While the colours might not be quite on par with Marte Gracia’s work, Rain Beredo has still done a great job with this issue, and he manages to maintain the consistency and tone of the previous instalments. There are some really funny moments involving Iceman this issue, especially after he discovers that Tony Stark is actually Iron Man, and later when he asks Logan if his mutant name is Hound Dog as he attempts to detect Sabertooth’s scent at Resilient International. We also get learn to what Mystique has planned for the all money her new Brotherhood have stolen, when Madame Hydra and the Silver Samurai arrive for a meeting with Raven, Sabertooth, and Lady Mastermind. It seems that Madame Hydra has control of something that Mystique wants, namely the island called Madrpoor, and Raven offers her the money the Brotherhood have stolen so she can buy this centrepiece of vice and criminality. All New X-Men #13 races to a dramatic conclusion as the Original X-Men disobey orders to join Wolverine and Kitty in gate crashing Mystique’s meeting with Hydra, offering Lady Mastermind the perfect opportunity to take revenge on Jean Grey for destroying her family and driving her father mad by seemingly reaching into Jean’s mind and triggering her apparent manifestation of the Phoenix Force. Whether this shocking turn of events is actually real, possibly caused by some bizarre time travelling paradox, or just another one of Lady Mastermind’s illusions remains to be seen, but it certainly provides an exciting cliff-hanger. This is another fantastic issue by Brian Michael Bendis, his writing has made All New X-Men one of the best comics around, and the art by Stuart Immonen is absolutely incredible. 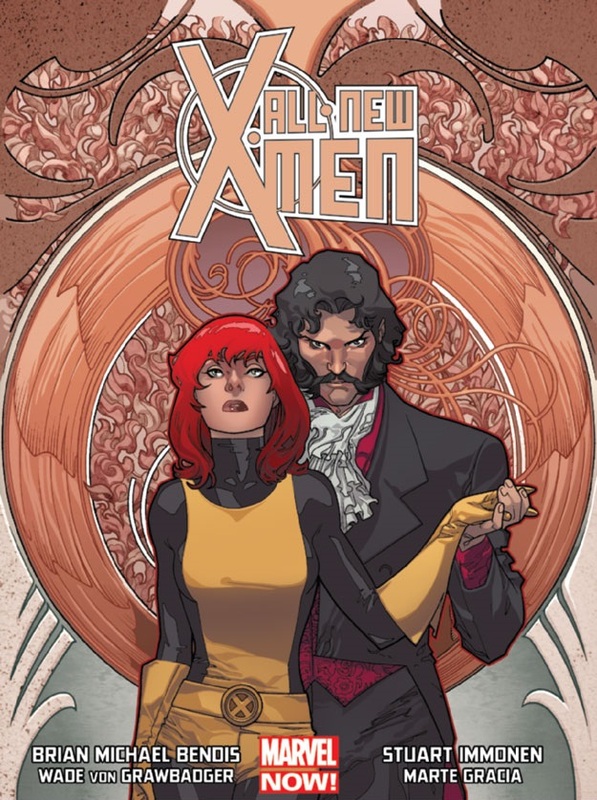 I always look forward to reading All New X-Men, and this issue is one of the best ever.